My newly turned 13 year old nephew designed and made this lunch entirely by himself when he was still 12. He looked through my cookie cutters, picked out a box from my collection, drew a sketch in my bento sketchbook, created a shopping list, made the quesadillas and styled this lunch. He enjoyed this lunch at my house. 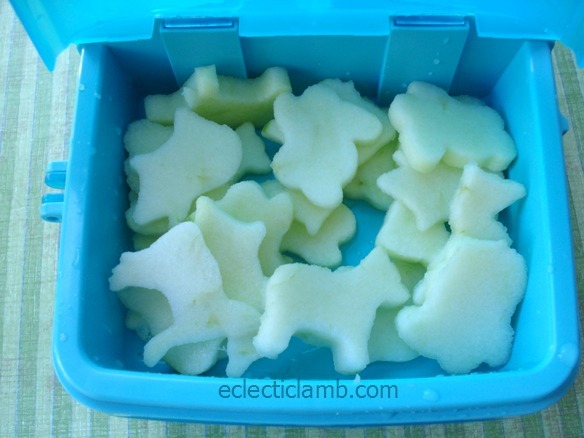 This entry was posted in Bento / Cute Food, Food and tagged bento, kid made, vegetarian. Bookmark the permalink. It’s wonderful! 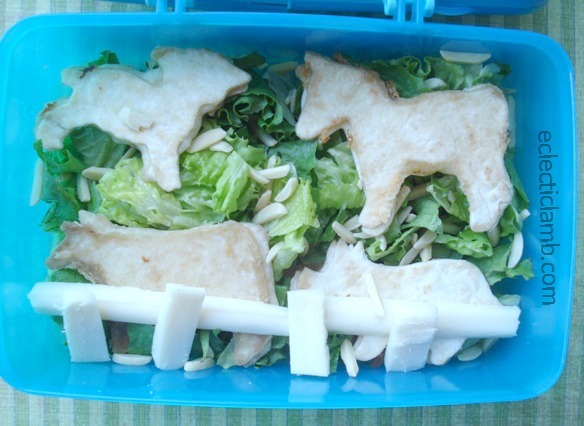 So great that you are teaching our nieces & nephews to be creative with lunches. Thank you so much Mary Lee! I enjoy creating with them. Mmmm looks really good! Good job!